The heart!The buyer’s initial objective is simply to get a feel for the property, asking themselves “could we be happy here?” In order to buy the property, they need to fall in love with it. During a first viewing, the last thing the heart needs is the seller highlighting irrelevant and distracting details. Buyers also like to discuss their heartfelt plans for the property, which is embarrassing and difficult within earshot of the seller. The brain. The brain really kicks in on the second viewing. The heart has already booked a removal company following the first viewing, but the brain says “hey, not so fast – we need to see the property again – just to be sure!” So on the second viewing, the buyer is looking for reasons NOT to buy the property. Those small details that were irrelevant on the first viewing now become useful – unless they were unnecessarily “spent” on the first viewing. 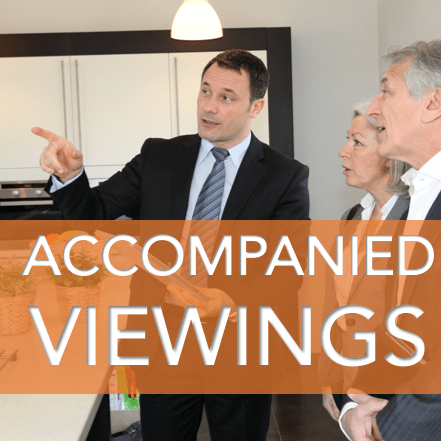 Also, the agent who accompanies the first viewing will have listened out for buying signals and objections that the seller might have missed, and which can be harnessed during the second viewing. Understanding/empathy. A good negotiator will build a relationship with the buyer, understanding their needs, preferences, hopes, aspirations and potential areas of compromise. Armed with this knowledge the agent will not just “show” the property, but “explore” it enthusiastically, whilst demonstrating how it could fit with the buyer’s lifestyle in the context of other properties the agent is also showing them.